Thanks to Kit, Liberty, Kelly and Rachel for holding down the Fetish Fort while I was off rumpusing my way through Eastern Europe. I’m mostly recovered from the jet lag, so let’s do this thing! 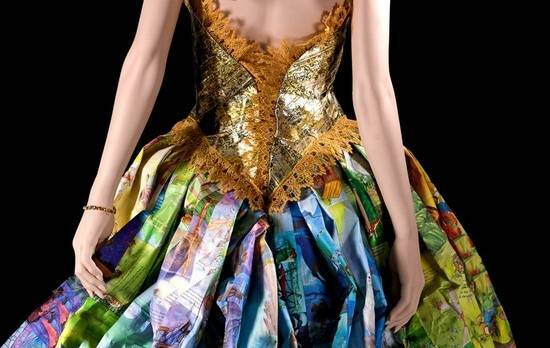 Little Golden Books Couture Gown: Designer Ryan Jude Novelline created this one-of-a-kind dress out of recycled Little Golden Books, with the skirt made out of the illustrated pages and the bodice made from the metallic book spines. Okay, so when can we get a knock-off, ready-to-wear version? 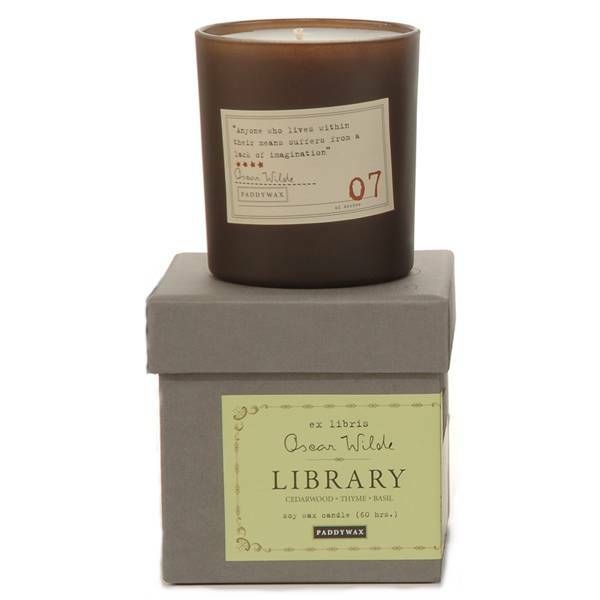 Author Candles: We’ve featured a candle that smells like a book, but how about books that are reminiscent of your favorite author? Choose from scribes like Jane Austen to Mark Twain to Oscar Wilde to give some aeromatic inspiration to your writing/reading space. 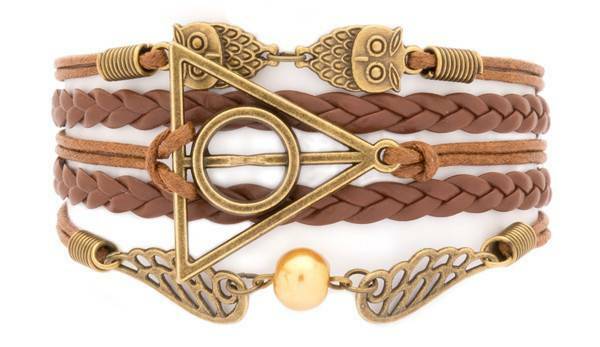 Horcrux-inspired Bracelet: A very subtle twist on typical H.Po. jewelry, these bracelets feature the classic shape in a variety of combinations and colors. 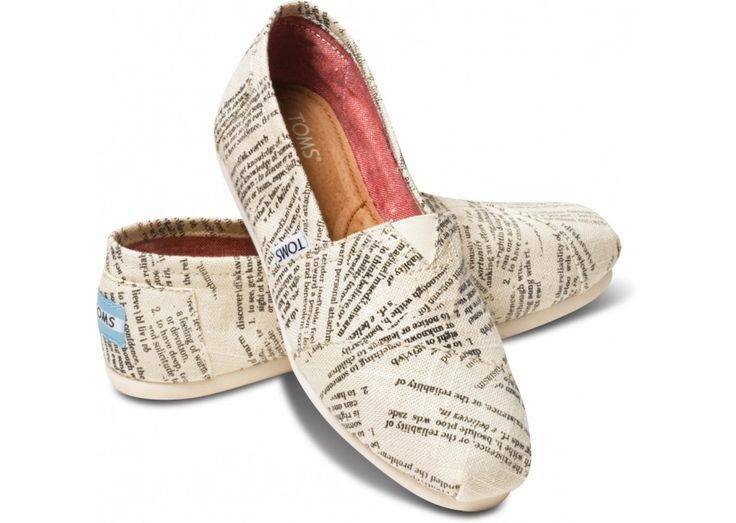 Tom’s Dictionary Quote Shoes: Wave your nerd flag high with these classic Tom’s covered in dictionary passages. Support education with every pair purchased, too! 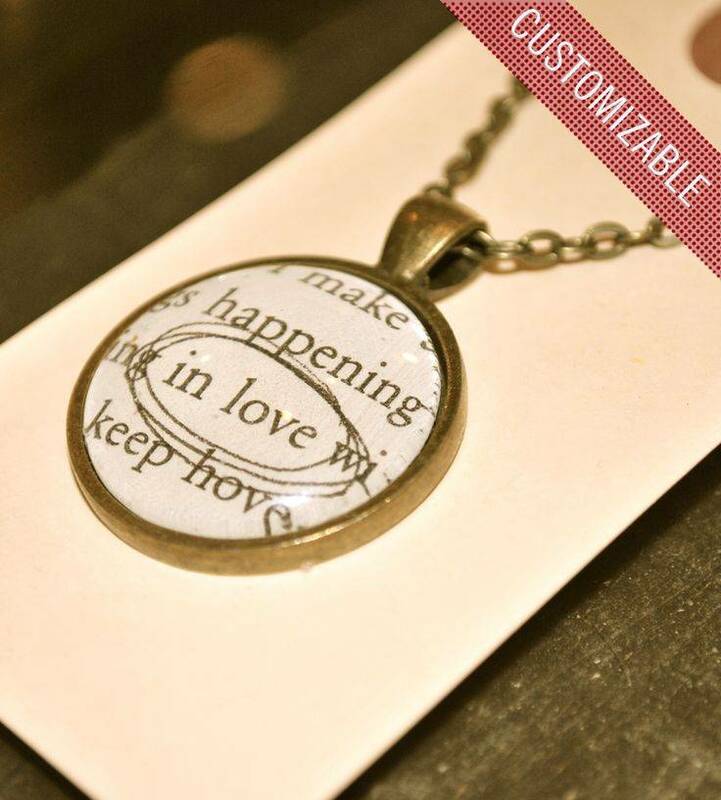 Custom Book Pendant: Made from the pages of vintage books, specify your word, name, city, whatever and the designer will scour her book collection to find just the word you’re looking for for your pendant of choice.